I spent my high school years in the Chicago area, and returned many times since. I miss everything about the city, except the weather. For many, the city of Chicago is largely known for its colorful mafia history, bare knuckle politics, and those big guys on Saturday Night Live clinking their beer mugs in fanatical devotion to Da’ Bears over a deep dish pizza. And yes, these things are definitely a part of Chicago’s culture. But Chicago also has broad performing arts tradition spanning the spectrum from the world renowned Chicago Symphony Orchestra to countless jazz, blues and gospel greats. The University of Chicago is affiliated with no fewer than 85 Nobel Laureates, and many examples of ground breaking architecture is found all over the city. This is a side of Chicago many people outside the city do not appreciate. This more sophisticated side of Chicago is what Goose Island’s Matilda Belgian Ale seems to be speaking to. The brew has a nice aromatic, cinnamon and clove spiciness to it, with some nice banana-like fruity esters becoming more apparent as it warms. And despite all these flavors going on, it’s crisp and uncluttered. 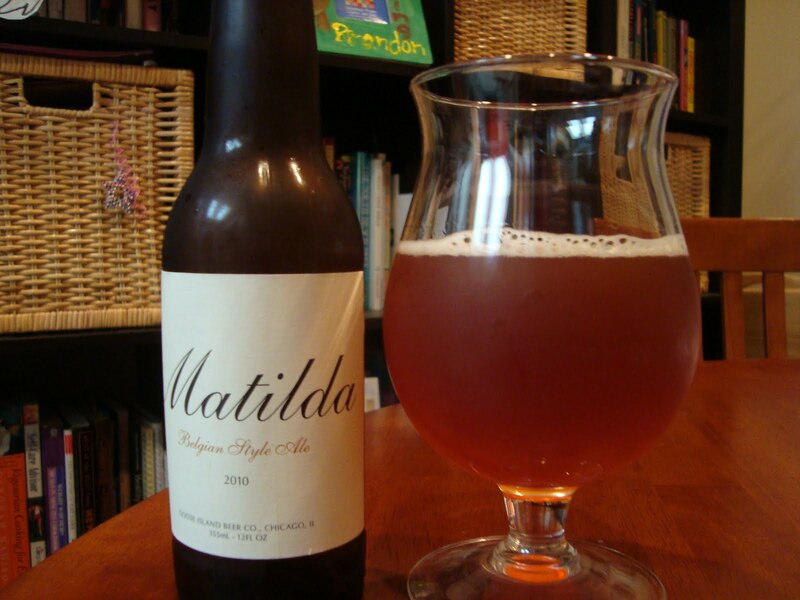 Goose Island’s is now distributing this beer starting in April to the West Coast, and tells us that brewmaster Greg Hall “developed Matilda for seasoned craft beer and wine drinkers to enjoy at the dining table or for casual socializing at the bar”. At 7% abv, it’s not quite a session beer, but it definitely stands up on it’s own. I can also see this pairing with a lot of foods, mostly lighter foods like salads, cheese, fish or poultry. It might even go well with a deep dish pizza while cheering on the Bears.